No experience needed! 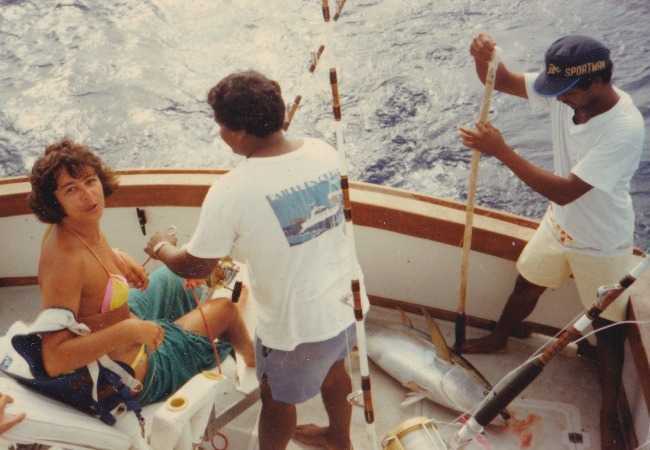 Deep sea fishing in Mauritius is a most exciting attraction. Don’t miss out on a thrilling outing at sea during your holiday. 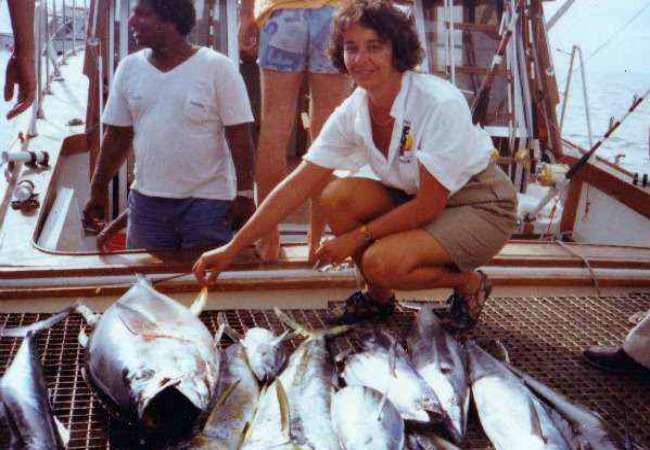 You could catch a big game fish like a blue marlin. Just imagine… it’s like winning a gold medal at the Olympic Games. 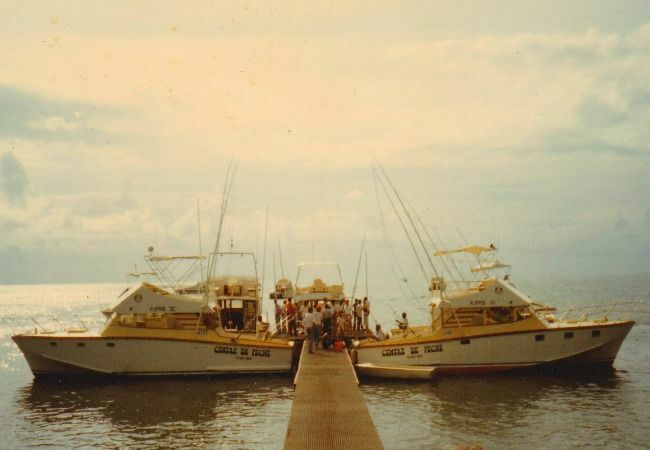 I am sharing photos of my first big game fishing ‘expedition’ off Grand Baie with you. As you can see I was chilled and well looked after. 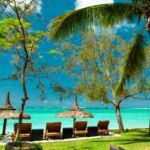 Why deep sea fishing in Mauritius? Our island is one of the world’s big game fishing destinations thanks to the topography of the seabed. 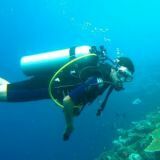 The depth of the Indian Ocean plummets to a thousand meters about a mile from our South West coast off Le Morne. This creates a current that pushes cold water full of nutrients upwards. There you’ll find lots of small fish and squids. They attract bigger fish and these bigger fish attracts even bigger fish like the famous blue marlin, sailfish and other big predators. About 7 marlins are caught every year during deep sea fishing in Mauritius. A blue marlin with a weight of 1355 lbs was caught off our West coast. A few pounds below the world record of 1376 lbs. Which deep sea fishing boat? 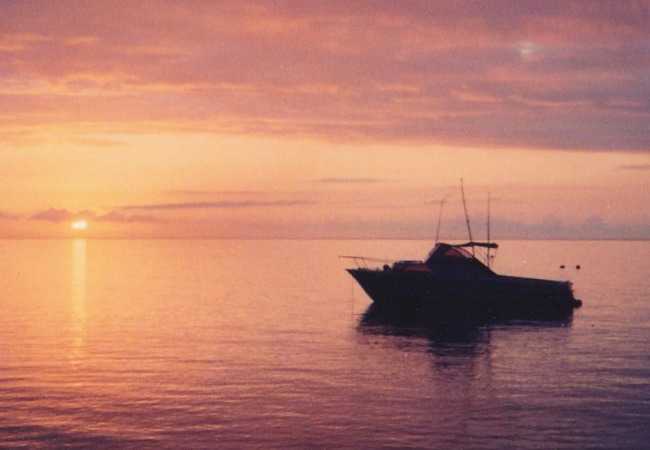 In Mauritius most deep sea fishing boats are modern and equipped with GPS and fish finders. Some offer more ‘luxury’. Maybe lounges and air con. If you are travelling with family or friends check how many passengers the boat can carry. How many fighting chairs? Usually two or three at the back of the boat. Add a couple more on the fly bridge. That’s the platform located above the main cabin. ‘Charter’ means for private use. Imagine! The boat and crew all to yourself and your party. You can come and go as you please. Maybe a stop at a nearby island for lunch and some snorkeling. Pure bliss. By the way check that snorkeling equipment is provided. If you are planning to take children on your deep sea fishing tour find out if they are allowed on board and check the age limit. What a memorable experience for a child and for you as well! I caught the biggest fish that day! 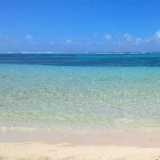 Before you book any deep sea fishing in Mauritius have a look at the moon calendar for a fishing forecast. Fish enjoy full moon because visibility is good. Lots of them feed at night when the sea temperature has cooled down. The problem is …they might not find your bait very appetizing the following day. If you an experienced angler you know it’s better to skip big game fishing during full moon unless of course you are planning to fish at night. 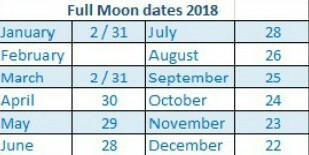 Moon visibility will be between 88 and 99% a few days before and after full moon. During summer fish tend to go deep down where the water temperature is cooler. That’s why big game fishing trips start early morning at about 7 am. It’s best to book a charter company not too far from your holiday accommodation. 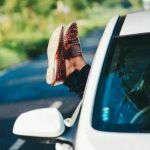 Some companies offer free pick up within a 5 km radius. 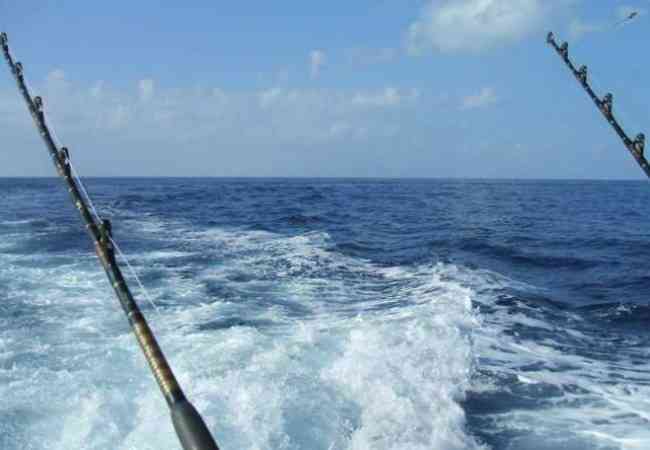 Consider a deep-sea fishing package if you are planning to do a lot of deep sea fishing in Mauritius. The South West or North West coast will be the best option. Plus a couple in the East. How much will it cost you? If you share a boat with other tourists the cost will be cheaper. You can always ask the charter company about sharing options. The rate to charter a boat varies from 350 euros for half a day to 850 euros for a full day. The price also depends on the size of the boat. Packages include rods, reels, tackle, lures, live bait, fishing licence, permit and first mate. Non-alcoholic beverages and water are provided free of charge. Sometimes lunch or snacks are included in the price. Remember to bring a change of clothing, sunglasses, hat or cap and sunscreen. The best time for big game fishing is during our summer from October to April. The best months to catch the famous blue marlin are December, January, February and March. Anglers will tell you the chances of catching a big game fish are very good during summer. That’s why they use heavy tackle. Marlin, tuna, wahoo, dorado or yellowfin…Sailfish are not often caught because a different technique must be used to hook them. 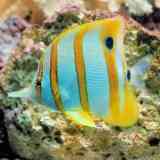 Other marine fish include the longnose emperor, snapper and grouper. We don’t have a national fish. 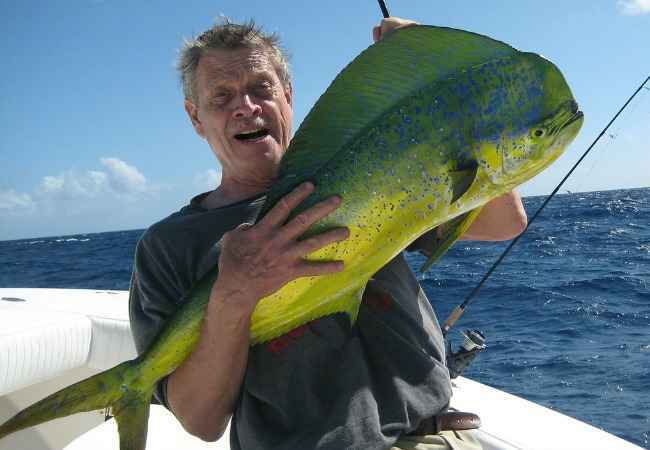 The most popular spots for your fishing safari are off le Morne, Black River and Tamarin on the South West coast. 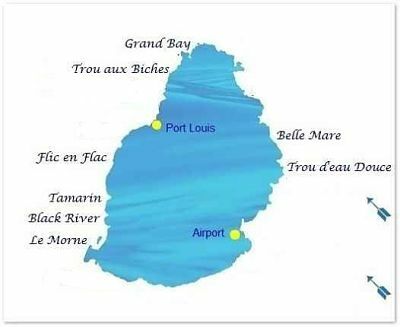 Further North you reach Albion, Port Louis, Balaclava, Trou aux Biches, Grand Baie where deep sea fishing is also good. 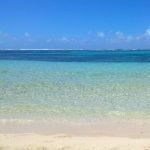 If you are staying on the East coast there are a couple of big game fishing companies you could try in Belle Mare or Trou d’eau Douce. 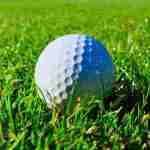 The weather on the East coast is windy and chilly during our winter months which are June, July and August. What is trolling? 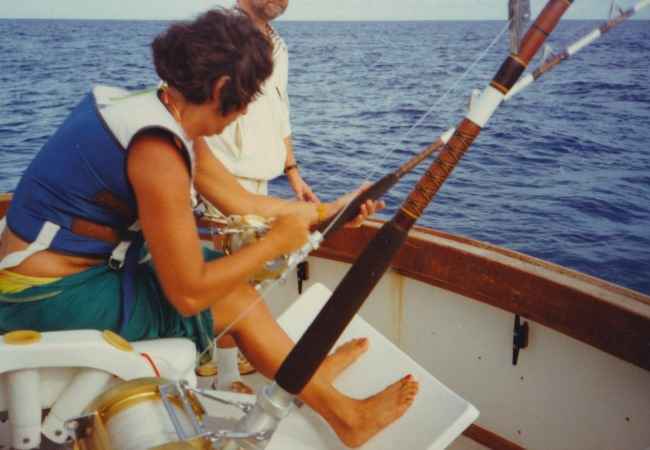 Deep sea fishing boats are equipped with flexible rods attached near the stern. These outriggers are used for trolling. The boat moves at a slow speed in a straight line with the bait or lure just under the water. Light or heavy tackle, hand line, fly fishing, bottom fishing … Don’t be intimidated by big game fishing techniques. The crew will show you. ‘Dorado’ means ‘the golden one’ in Spanish. 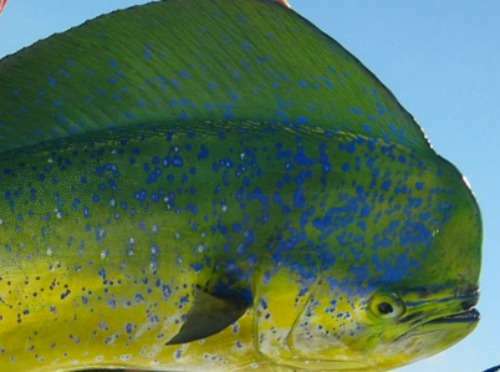 Dorados have beautiful golden colours with bright shades of blue and turquoise. Out of the water they turn a dull grey. Dorados swim in pairs. When I catch one and I see its companion following the boat I feel sad. They are one of the healthiest fish to eat because they have a low mercury content. Could be because of their short lifespan. Good luck for your deep-sea fishing in Mauritius. Let me know if you catch a big game fish and email me some pics!